Q: Our walkway is broken and tipped. Should be replace it or try to fix it? Q: Our furnace has an old humidifier. I don’t think it works any more, do we need to replace it? Q: Our furnace is old. Are there certain parts of a furnace that tend to wear out a lot? Q: Is it true that insurance is cheaper if we install an alarm system? Q: Last week our windows on the south side leaked during a driving rain. We rarely get rain from this direction and have never seen a leak here before. Do you recommend replacing the windows? Q: Our house roof drains on our garage roof. Is this common and is it ok to do this? Q: We are deciding upon which shingles we should buy for our roof. Do you have any suggestions? Q: We recently had a fire in our living room because we had too many plugs on one receptacle. Is there a way to know how much is too much? I have been reading lately about the dangers of asbestos insulation in homes. Can you expand on this and explain where we might have asbestos? Our home has gray plastic water lines. Someone said these lines are likely going to leak. Our home is 30 years old, don’t you think if the lines were going to leak they would have already? I have a high efficient furnace. There is a drain line from the furnace where clear water comes out into the drain. Is it true that this water is pure and good for drinking? Our sink in the main washroom is very slow to drain. Sometimes there is also a smell coming from the drain line. What might cause this and how can I fix it? Our windows are very drafty. They are the winding crank style. What can we do to reduce the drafts? How can I tell if my boiler is running properly? We live in the country where there is limited supply of natural gas. We have propane gas instead. Are there any concerns with using Propane? I have a boiler that heats our home. Should I consider another source of heat as a backup, if so what do you suggest? We are building a new home and want to install in floor heat in the floor of the basement. Do you have any tips on how we should proceed? I am going to change my bathroom sink, should I spend a little extra and put in valves? I have a few metal covers on the walls in my house. These covers are ugly can I eliminate them? I have had several sewer backups over the past few years. Is there something I can do to fix this? The hot water tank has a very foul smell. I have been told there is a manganese rod in the tank that can be removed. Can you explain? My hot water tank is dripping from the valve on the side of the tank. How can I fix this? I grew up in the old school where copper pipe was used for water supply throughout the house. These days plastic pipe is used. Is this type of pipe safe and reliable? A plumber friend of mine said I should install a back water valve. Can you explain what they do and what I should do? My last home flooded three times when we had heavy rains. The water came in through the sewer lines. How can I try to prevent this from happening in our new home? I want to rent out my basement. Are there any restrictions that may prevent me from renting this space? A friend of mine tells me that the new closed cell spray foam is a very good insulating product. Should I pay a little extra for this type of insulation or just put in conventional insulation? My 1980’s home has old style wooden casement windows. Several of the cranking mechanisms are stripped and broken. Do I need to replace these windows or can they be fixed? We are considering changing our kitchen range hood. Should we vent the new one outside or just let it recycle the stale air? Our baby is one year old and we are worried about his safety on our back deck, specifically with regard to the handrail and spindle spacing. What size opening is safe for our baby? The best way to describe this device is to say it has a circuit board inside it which is constantly measuring the flow of electrons within the circuit. When one side of the circuit gets out of balance from the other the circuit board detects a fault and trips shutting off the flow of electricity. Think of it as a river flowing underground which resurfaces a short distance away. If the river has always had the same flow and all of a sudden only half the volume emerges from the ground you would know there was a problem. The GFI works the same way. If even a little of the current strays into your body for instance, the GFI will detect it and trip potentially saving your life. We know that as little as 1 amp of electrical current can kill a person. The breaker in most cases will not trip until it reaches a load of 15 Amps. The GFI will trip at 5 milliamps or 5% of one amp. : I am told there is a new invention called a GFCI that makes electrical plugins safer in areas near water. Can you explain how these work and why they are safer? My Front entry is always cold, what is the best approach to fixing this? My House was very cold the other night because someone turned the furnace emergency switch off by accident. What is the best way to prevent this from happening in the future? My bathroom wall is all wet again and I just fixed it. There is a window in the shower is that a problem? The stairs to my basement are dangerous. Several people who have come to visit have stumbled on the stairs. What might be wrong? We have a deck that is quite high. It also has a bench seat. Someone told me the seat is not allowed by code, can you explain? We are building a new deck this summer. What are the rules for the railings? I am installing a gas fireplace in my living room. Are there special rules for the gas connections and vent terminations? There is a copper wire running from my gas line to my water line. It is in my way, can I remove it, what is it for anyway? My home is older and doesn’t have weeping tile. Should I dig up the walls to add weeping tile now? I live in the country. My septic field is under a hill in the yard. How does this type of system work? I am building a new home in the country. What design consideration must I be aware of for the septic system? How do I know if my septic system is up to code? I moved to an acreage and have had nothing but trouble with my septic tank pump out line freezing. How do I stop this? I live in an older home. My son’s bedroom is in the basement. He has been sick a lot since we moved in. Someone suggested we might have mold, what now? : I noticed a bounce in the floor of my living room recently. We just had a new furnace installed. Do you think the two are related? : I live in an older home. Recently I had my pipes freeze under my kitchen sink. Why might this happen and how can I prevent it in the future? Parts of my home are cooler than others. I have vents in every room but they do not all preform equally well. How can I direct the heat to where I need it most while not overheating other rooms? I noticed my bathroom vent is venting into the attic space. I was told this is not good can you explain? 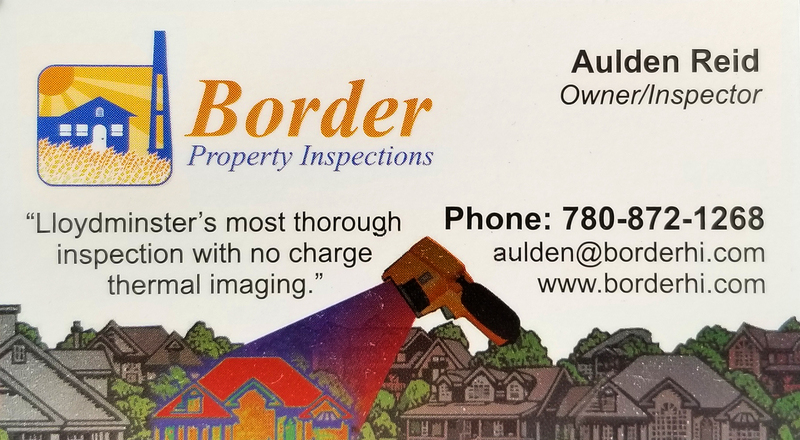 To Schedule Your Home Inspection Today!